While you are in town, one of the places you should definitely visit is Marmaris Aqua Dream Waterpark. 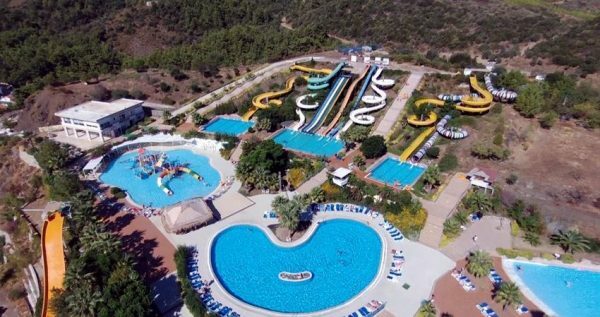 This special one-day excursion to Marmaris Aqua Dream Waterpark offers you a great chance to have some childish fun without anyone judging you. Marmaris Aqua Dream Waterpark doesn’t have any age limits so you and all your children can enjoy your time here. Aqua Dream is the largest and most well equipped water park in Marmaris. 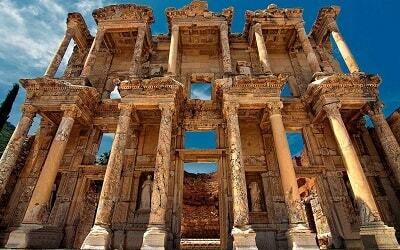 It is situated on the top of the nearby hill which also provides its visitors with some breathtaking views during their adventures at the park. Aqua Dream Water Park numerous exciting water slides, such as The Wild Rafting Slide, Free Fall, Aqua Tower, Black Hole, Kamikaze, Multi Slide and more. 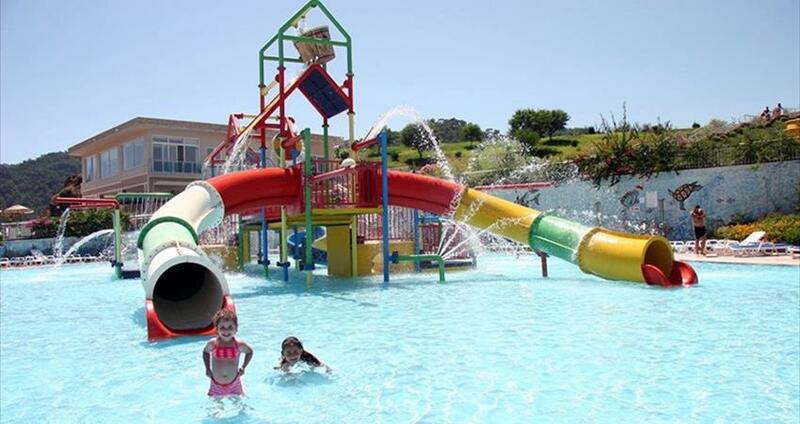 There is also a wide array of pools, like Wave Pool, Kids Pool and different Swimming Pools. Safety equipment will be provided to all the members of your party upon your arrival, so you don’t have to worry about your safety. 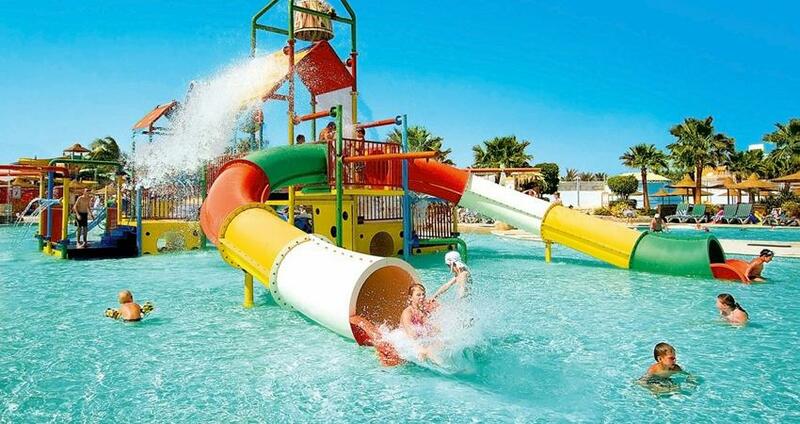 Yours and your children’s safety is our top concern during your stay at the complex, and that is why the park always employs at least one life-guard. This lovely park also provides its guests with private changing rooms, lockers where you can put your clothes and also safety deposit boxes for your valuables. There is also a terrific restaurant and a great café inside the complex. 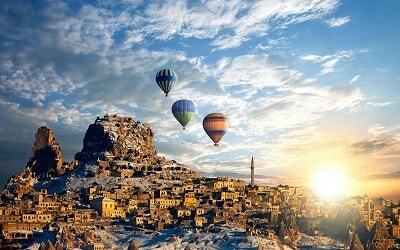 If you get hungry you can get delicious snacks and refreshing drinks and beverages there. If , on the other hand, you are in the mood for something alcoholic, there are also two bars on the water park premises too. Bringing your own food and drinks is not allowed, and it is also completely unnecessary. For those of you who want to take a rest and relax in the sun there are numerous comfy sunbeds and umbrellas provided at the park as well. Aqua Dream Water Park’s staff always suggests you to be highly aware of all the wet and slippery surfaces at the premises, and wear footwear with some frictional soles, so you can’t slip and fall. It is also recommended to take off all of your jewelry and accessories before sliding, as they can fall off and get lost in the water. 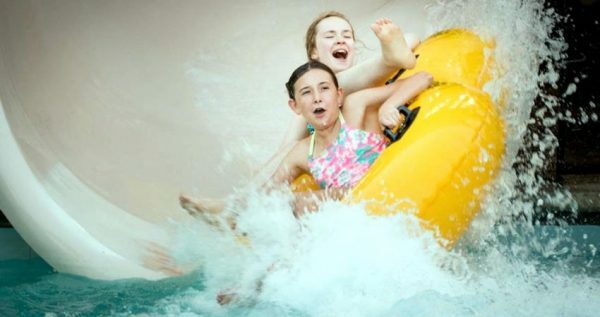 The organizational team of Aqua Dream Water Park makes your safety their top concern, but you have to follow the rules in order to stay safe as well. 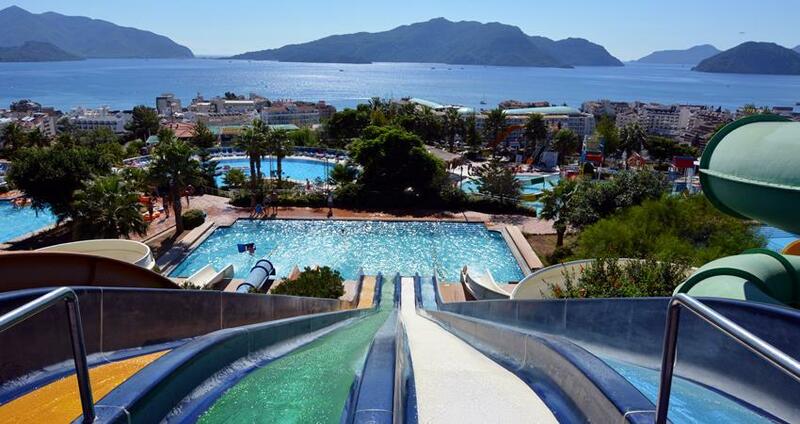 Atlanis Waterpark is another water park option that we have in Marmaris. 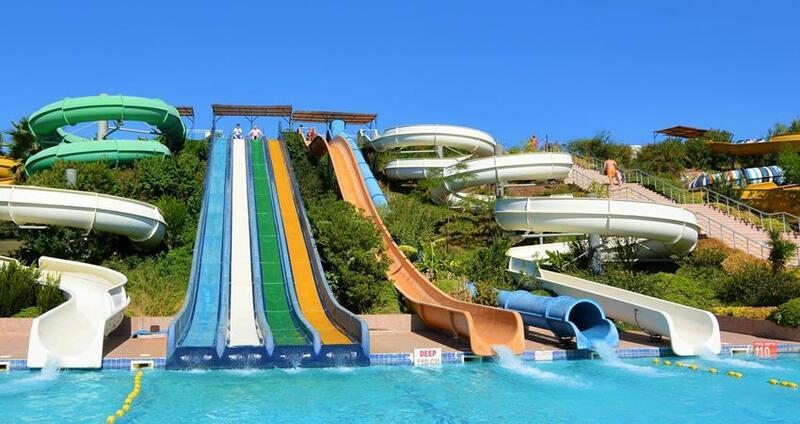 Marmaris Aqua Dream Water Park is perfect for those who want to have some childish fun with friends, family and kids. 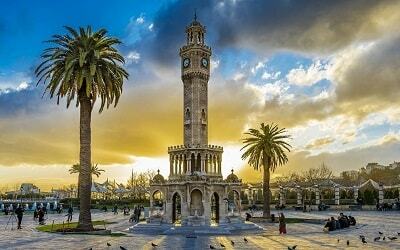 This lovely entertainment park is open from 10am to 5pm. Excursion Mania is offerring three sessions a day. You can choose your own preferred time for your visit waterpark. 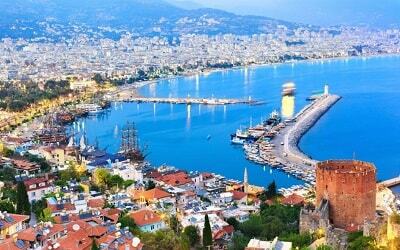 Our driver will pick you up and take you to Marmaris Aqua Dream Water Park for free. 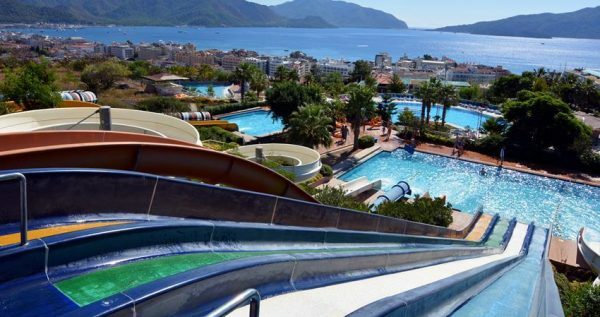 Aqua Dream water park is the largest entertainment park in this area, and it is conveniently located on a hill-top, so its visitors have an amazing view as well. 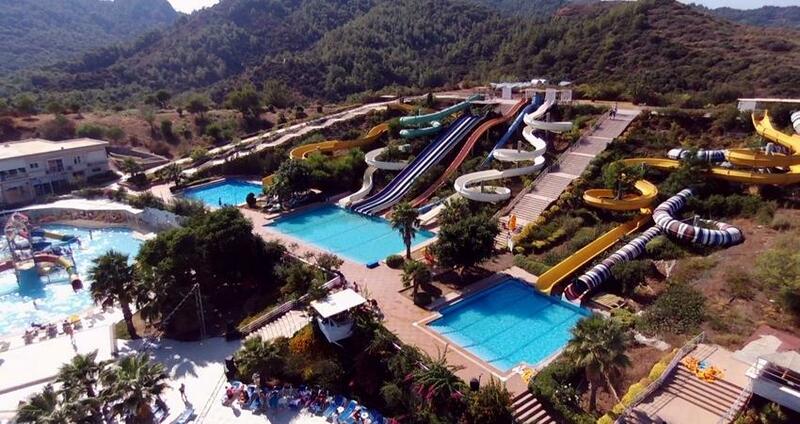 This terrific park is equipped with 9 different slides. Each slide has its own benefits, and each has its level of fun and excitement. Some of them might seem a bit dangerous, but you can test assured that they are all safe and that our life-guards are nearby if you need them. 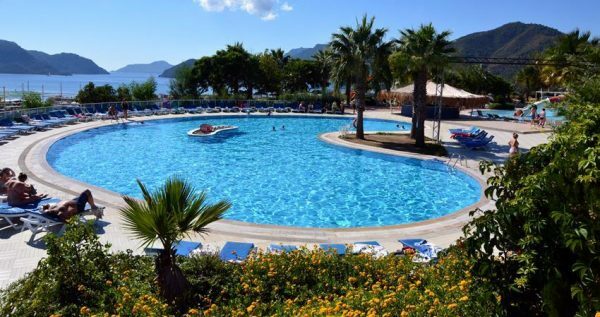 Marmaris Aqua Dream Water park is fully equipped with showers, changing cabins, lockers, safety deposit boxes, toilets, restaurant, bars and a cafeteria. All of these amenities are at your disposal at all times. This park is built to provide you with a carefree and fun experience. Wave pool is one of the most popular spots in this amazing park, and it starts working at 2pm. The simulated waves will make you feel like you are floating in the restless ocean. We should also note that the water in this entertainment par is being cleaned and bleached regularly, in order to provide a hygienically safe environment for its guests. Foam Party is a unique experience which will make your vacation unforgettable. The party starts at 3pm, and everyone can join in and everyone are invited to frolic and play in the foam. Return transfers start at 3pm, and they are repeated every half an hour. Once you decide you’ve had enough, our comfy and spacious shuttle bus will take you back to your hotel, free of charge.